Dame Judi Dench | I Review Too . 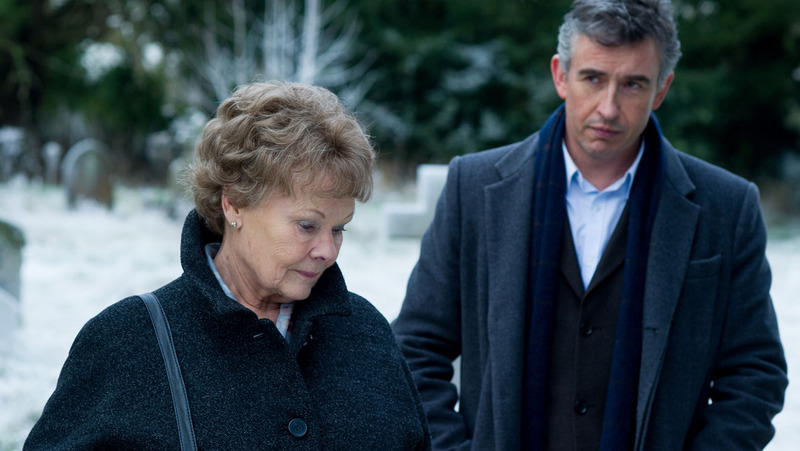 . .
Philomena is the sobering tale of one mother’s quest for closure and the cold brutality of religion. In alternative hands, its rich, real-life subject matter would have no doubt made for a compelling documentary, complete with unexpected twists, turns and plenty of tears. Instead, Philomena Lee’s story is presented to us through the filter of comedian Steve Coogan, whose ability to coerce droplets of delicious dry humour out of this most shocking of stories is a welcome relief. It’s Coogan’s screenplay – and Stephen Frears’ warm directing skills – which transform this story from a heartbreaking drama into something funny, thought provoking and oddly heartwarming. Posted in Cool, Film, Reviews and tagged Catholic Church, Dame Judi Dench, Martin Sixsmith, Movie Review, Nuns, Peter Mullen, Philomena, Philomena Lee, Religeon, Screenplay, Simon Bland, Stephen Frears, Steve Coogan, The Magdalene Sisters. Bookmark the permalink.